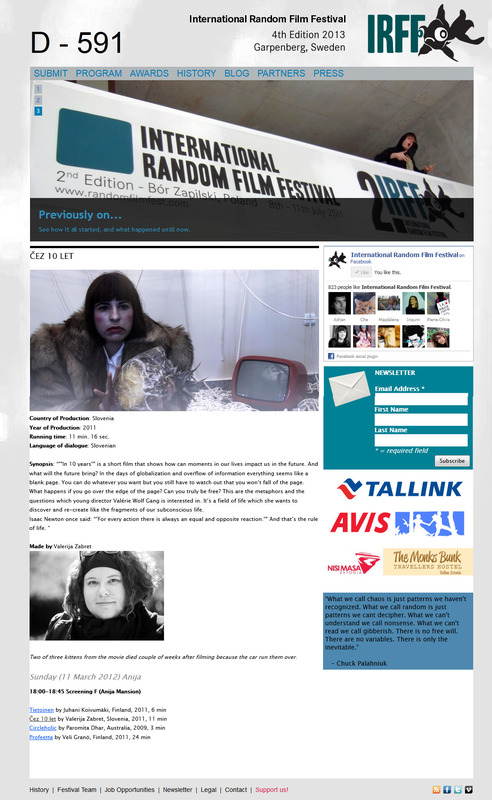 My short film IN 10 YEARS was nominated for best film on International Random Film Festival which took place in Estonia this year. It was the only one in the competition program from Slovenia. It was screened in Anija Mansion in Estonia on 11th March 2012 at 18:00.